When a pharmacist hands over a medicine to a patient, they might assume the patient will take it as instructed, but a surprising number do not. In fact, it is thought that only around half of medicines for long-term conditions are taken as prescribed in developed countries, and there is little evidence of any improvement in adherence rates over the past 50 years. In 2002, a Cochrane Review concluded that effective ways to help people follow medical treatments could have far larger effects on health than any treatment. Highly sophisticated medicines that can cost billions of pounds to develop, delivered with painstaking medical advice and support, will not be effective if patients fail to take them in the right way, either intentionally or not. The overall cost of wasted medicines to the NHS in England each year is estimated to be around £300m. But this figure does not take into account the countless visits to the doctor, further tests and sometimes hospital admissions and other medical costs incurred when a patient does not take their medicines. A doctor who assumes their patient is adherent may increase the dose or add in additional therapies when they do not see the desired effect, further adding to medicines costs. When people fail to take their medicines as prescribed, it does not just place a burden on the healthcare system; without getting the full benefit from their medicines, patients’ quality-of-life suffers and the risk of morbidity and mortality increases. Several pharmaceutical companies are looking to develop ways to improve how patients take their medicines. London-based behaviour-change consultancy Spoonful of Sugar, which spun out of University College London in 2011, focuses entirely on changing patient behaviour, and the vast majority of its clients are pharmaceutical companies. As well as trying to understand why particular behaviours occur, the company also develops programmes to change those behaviours. With adherence still such a problem, it is important that interventions to improve it are validated and effective, and that healthcare professionals know how to match patients to these interventions, including the deluge of apps that are coming to market. People fail to adhere to their medicines for many different reasons but, according to a survey published by pharmacy automation company Omnicell in 2015, the most common is that they simply forget. The survey found that two-thirds of people forget to take their medicines, while a quarter do not take them because of unpleasant side effects. A further 20% said they felt well so believed their medicines were unnecessary. Failing to recognise the need for medicines can be a particular issue for patients with long-term conditions, where there are long periods when patients feel well. For example, in epilepsy, where the medicines tend to have quite unpleasant side effects, patients will sometimes reduce or stop taking them during seizure-free periods. Debi Bhattacharya, a senior lecturer in pharmacy practice at the University of East Anglia, says that there are three main components to adherence: does the patient have access to the medication? Do they have the cognitive and physical ability to take it? And do they have the motivation to take it? “I think the third element, where we are talking about the psychosocial impact of medicines and how to positively influence that, is where the real challenge is for all healthcare professionals,” says Bhattacharya. She notes that healthcare professionals, by and large, know how to address the former two aspects. For pharmacists, this includes initiatives such as home delivery services, reducing regimen complexity and providing compliance aids. However, when it comes to patients’ motivation to take their medicines, things become more complex. Bhattacharya says that patients are likely to be forthcoming about discussing barriers to access and cognitive or physical ability, but less willing to discuss intentional non-adherence. One of the challenges for pharmacists is knowing what conversations to have with patients to elicit information about their levels of adherence. She says that this should improve as more cohorts come through the new degree system, which includes consultation skills training. “There is recognition that the future pharmacist has a patient-facing role and therefore needs significant consultation skills training,” says Bhattacharya. However, she says that the opportunity for undergraduate students to fully develop these skills is limited by the lack of patient-contact time that results from funding constraints. And behaviour-change techniques, such as motivational interviewing and implementation interventions, are not taught at undergraduate level. She notes that some of this gap is being addressed through the introduction of the Pharmacy Integration Fund in England and pharmacist prescribing training, which includes advanced consultation skills. 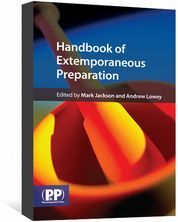 At the University of East Anglia, these concepts are introduced in its postgraduate diploma and prescribing course. “Most prescribing courses will provide training in consultation skills technique so this is all upskilling the workforce to at least be able to have these patient-centred consultations,” she says. Heidi Wright, practice and policy lead for England at the Royal Pharmaceutical Society, suggests that pharmacists make use of general health coaching as well as training on shared decision-making. When it comes to interventions to improve adherence, a Cochrane review published in 2014 makes for gloomy reading. “Methods of improving medication adherence for chronic health problems tested to date are mostly complex and not very effective, so that the full benefits of treatment cannot be realised,” it says, adding that the quest for effective and practical interventions to promote medicines adherence and improve clinical outcomes must continue. “We don’t have a gold standard [intervention],” says Bhattacharya. 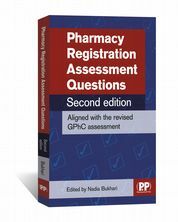 She and her colleagues have developed the ‘Identification of medication adherence barriers questionnaire (IMAB-Q)’, which aims to assist pharmacists and other healthcare professionals to identify a patient’s reasons for non-adherence and link them to interventions. They have validated it using a sample of 600 patients in nine community pharmacies in Suffolk and Norfolk. However, when Bhattacharya did some work with nurses and pharmacists to train them on delivering behavioural change interventions, they found it difficult to translate the information gathered on barriers to adherence into selecting the most appropriate intervention. The team is now working on how to link up the domains of the IMAB-Q to the appropriate interventions in a user-friendly way. “Pharmacists will have clear guidance in terms of what they should be doing to fix those barriers [to adherence]. “But there will be lots of flexibility so that it can be patient centred — there will be several correct answers and it will be up to the pharmacist and the patient to work through together and decide which solution is most appropriate,” says Bhattacharya. The IMAB-Q was developed using the theoretical domains framework, a validated integrative framework intended to act as a vehicle for applying theoretical approaches to interventions for behavioural change. Unfortunately, much of the research into adherence interventions has not been based on psychological and behaviour-change principles, says Bhattacharya. She also argues that interventions need to be complex if they are to address the different dimensions of non-adherence. For Bhattacharya, the focus for research now should not be on developing new interventions but on working out how to match patients to the interventions already available. She says that one of the reasons individual interventions tend to have small effect sizes in trials is that they will only be effective in the subset of participants whose reason for non-adherence is targeted by the intervention being studied. For example, if somebody proposed studying an app that reminds people to take their medicines or of the correct technique, it would not help people whose difficulty is accessing the medicines or having negative beliefs around their medicines. “If you build a programme based on the construct from first principles you will have something that is successful, and it will be more successful than a lot of the programmes that are currently in existence,” he says. “You can do better than that though, by understanding how to refine it based on the context. The use of apps and digital technology for healthcare, and specifically for adherence, is a relatively recent development, but one that looks set to expand in the coming years. NHS England is trialling a digital apps library to help patients choose those that are safe and have value. Examples of apps already in the library are myCOPD, which enables people living with chronic obstructive pulmonary disease to monitor their symptoms, track their medicines use and get coaching on correct inhaler technique; and Squeezy CF, which reminds people with cystic fibrosis to do pelvic floor exercises. Squeezy CF users can also record when they have done the exercises and the app can be tailored to an exercise programme set by their own physiotherapist. Mona Johnson, senior clinical lead for the NHS Digital programme for apps and wearables, explains that NHS England decides the types of apps that should be prioritised. When an app falls within their scope, NHS Digital will assess it. The assessment process focuses on safety and technical assurance, considering whether a patient’s data would be vulnerable and how the developer will use data collected by the app in future. Apps deemed to be medical devices are referred to the Medicines and Healthcare products Regulatory Agency and those considered medical services must be registered with the Care Quality Commission, the independent regulator of all health and social care services in England. Any apps that make clinical effectiveness claims must also go through a clinical assurance process. “Because there are hundreds and hundreds of apps that are coming online every day, it is really difficult for clinicians and patients to understand which of those apps are the ones they should be using,” says Johnson, who also works as a GP. Johnson believes that technology can be used to empower patients to look after their health and can also be harnessed by healthcare professionals to facilitate improved adherence. Healthcare professionals can use patient data “as a springboard to have richer conversations with patients about their experience of health and care delivery”, she says, adding that there may be a time when all patients share their real-time health data with healthcare professionals. “It might mean that there is a totally new kind of role that is created for different sorts of health or care professionals that is more about coaching and facilitating, rather than the paternalistic relationship that’s traditionally been held between healthcare professionals and patients,” she says. Kenny agrees that, when it comes to digital interventions, by far the most successful are the ones where the programme is designed to be delivered both digitally and by a healthcare professional. Wright also emphasises the importance of the human touch in improving adherence. “You need to spend time with people to help them understand [the reasons for taking their medicines]. You might tell them something when they are in hospital or being discharged, [but] there is so much going on at that point that they do not remember,” she explains. Hazell B & Robson R. Pharmaceutical waste reduction in the NHS. 18 June 2015. 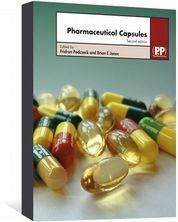 Available at: https://www.england.nhs.uk/wp-content/uploads/2015/06/pharmaceutical-waste-reduction.pdf (accessed February 2018). Hagan P. The true cost of medication non-adherence. 2015. Available at: http://www.letstakecareofit.com/wp-content/uploads/2015/10/The-True-Cost-of-Medication-Non-Adherence-Report.pdf (accessed February 2018). Brown TJ, Twigg M, Taylor M et al. Final Report for the IMAB - Q Study: Validation and Feasibility Testing of a Novel Questionnaire to Identify Barriers to Medication Adherence. 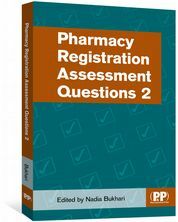 Available at: http://pharmacyresearchuk.org/wp-content/uploads/2017/01/IMAB-Q-validation-and-feasibility-testing-full-report.pdf (accessed February 2018). The pharmacist and medication adherence in the population with intellectual disabilities. Medication nonadherence in the population with intellectual disabilities is not well described in the literature. People with intellectual disabilities (PWID) may have multiple morbidities and are often prescribed multi medications at a younger age than the general population . The medication use process in this vulnerable population is complex and is affected by many factors. Patients with intellectual disabilities present unique challenges for their prescriber, pharmacist and carer. Many PWID have a diagnosis of epilepsy and emergency admissions for this indicate ineffective epileptic control and/or lack of adequate rescue medication plans. Convulsions and epilepsy play a key role as a cause of death in PWID (1). The consequence of nonadherence to prescribed anti epileptic medications has been associated with poor seizure control, increased morbidity and mortality along with increased time of hospitalization, worsened patient outcome, poor quality of life, and increased health care cost (2). •	Lack of monitoring for side-effects or unreliable monitoring. •	A number of these examples demonstrated lack of adequate communication with family carers or staff. 1. PWID may not have the ability to fully understand the importance or impact of their medical condition or medications they are prescribed. Each person is unique and PWID may have a range of abilities and disabilities. 2. Many PWID have hearing, visual, memory and dexterity difficulties. 3. PWID can have various living situations where they are supported by a range of formal (paid) and informal carers. It has been found that PWID living in group homes ( where documentation requirements exist) had higher adherence rates compared with those who live independently or in a family home. 4. Socioeconomic factors may have an impact on the individual’s ability to adhere to a medication regimen. Health literacy levels of those providing direct care are important. 5. PWID and their caregivers may require additional person centred counselling and support. Pharmacists should be proactive and tailor counselling to the individual patient. PWID must receive information in a format that makes the information accessible to them. 6. Both formal (paid) and informal caregivers are very important people in the lives of PWID. They should be involved , with the permission of the patient, in discussions concerning medication. They may be in a position to facilitate the transfer of medication related information that may result in adherence to prescribed medication regimens. 7. Non adherence may indicate a failure in communication at some stage of the medication use process. Interventions must be tailored to the particular illness-related demands experienced by the patient in their ‘real world’ lives. Medication must be dispensed in a form suitable for the person e.g. swallowing ability, PEG in situ, taste/smell aversion, sugar free, etc. 8. Adherence to prescribed medication regimens may be a particular challenge in asthma, diabetes etc. Due to their cognitive impairment as well as comorbidities, they are likely to require support with self-management, including inhaler use, insulin administration and blood glucose testing..
9. PWID may not understand Monitored Dosage Systems (MDS) and may not have the dexterity to remove medications from MDS. 10. Formal and informal carers should receive training and have person specific protocols for the administration of rescue medications e.g. buccal midazolam, glucagon etc . Pharmacists are in a pivotal position to positively impact on medicines optimisation and adherence rates in the vulnerable population with intellectual disabilities. Building relationships with these individuals and their formal and informal caregivers, developing effective person centred communication techniques, and monitoring adherence have the potential to optimise medication use in this at-risk patient population. 3. Heslop P, Blair P, Fleming P, Hoghton M, Marriott A, Russ L. Confidential Inquiry into premature deaths of people with learning disabilities (CIPOLD): Final report. Bristol: Norah Fry Research Centre, University of Bristol; 2013.